From the author of A Widow for One Year, A Prayer for Owen Meany and other acclaimed novels, comes a story of a father and a son - fugitives in 20th-century North America. In 1954, in the cookhouse of a logging and sawmill settlement in northern New Hampshire, a twelve-year-old boy mistakes the local constable's girlfriend for a bear. Both the twelve-year-old and his father become fugitives, pursued by the constable. Their lone protector is a fiercely libertarian logger, once a river driver, who befriends them. 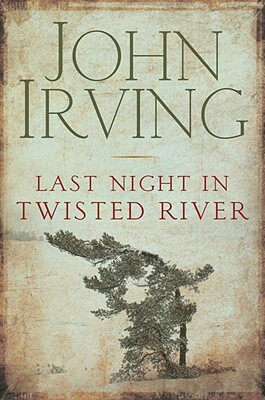 In a story spanning five decades, Last Night in Twisted River - John Irving's twelfth novel - depicts the recent half-century in the United States as a world "where lethal hatreds were generally permitted to run their course." From the novel's taut opening sentence - "The young Canadian, who could not have been more than fifteen, had hesitated too long." - to its elegiac final chapter, what distinguishes Last Night in Twisted River is the author's unmistakable voice, the inimitable voice of an accomplished storyteller. John Irving published his first novel, Setting Free the Bears, in 1968. He has been nominated for a National Book Award three times -- winning once, in 1980, for the novel The World According to Garp. He also received an O. Henry Award, in 1981, for the short story "Interior Space." In 1992, Irving was inducted into the National Wrestling Hall of Fame in Stillwater, Oklahoma. In 2000, he won the Oscar for Best Adapted Screenplay for The Cider House Rules. "Last Night in Twisted River is a novel of excellence. This big-hearted, brilliantly written and superbly realised inter-generational tale of a father and son on the lam, and their flawed protector, stands comparison with the very best of Irving's previous work. It is absolutely unmissable." "Last Night in Twisted River mulls the crises that steep Irving's finest work, from Garp to Owen Meany to Widow. Yet the scale here is more human, and his approach more humane, than anything that's come before." "One of Mr. Irving's more powerful works." "Irving both tickles the narrative palate of saga — and suspense — lovers, and guides us gently down the paths of unaccustomed thought on civility, politics and art. . . . Irving always keeps one foot in the fairy-tale forest. Fate and kinship — by blood or choice — entwine as intimately in his books as they ever did in Dickens."